Cultivated without pesticides, GMO or chemical fertilisers, organic linen is one of the most ecological fibers. It does not need irrigation, respects the principle of crop rotation and is transformed by a mechanical procedure without toxic products and all are re-usable. Its absorption capacity allows our clothes to breathe due to its antiperspirant effect. 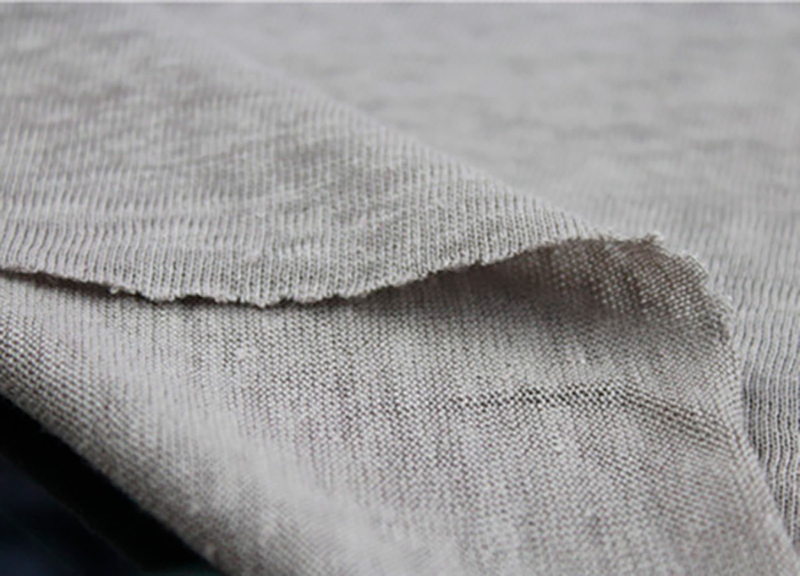 Linen is a must for sensitive skins due to its hypoallergenic and anti-bacterial properties. Moreover, it is three times more resistant than cotton. Hemp is the ultimate ecological fiber. Its cultivation does not require irrigation or any chemical product since the plant is naturally highly resistant to parasites and weeds. Hemp maintains the soils, its roots drain the earth and regenerate it. 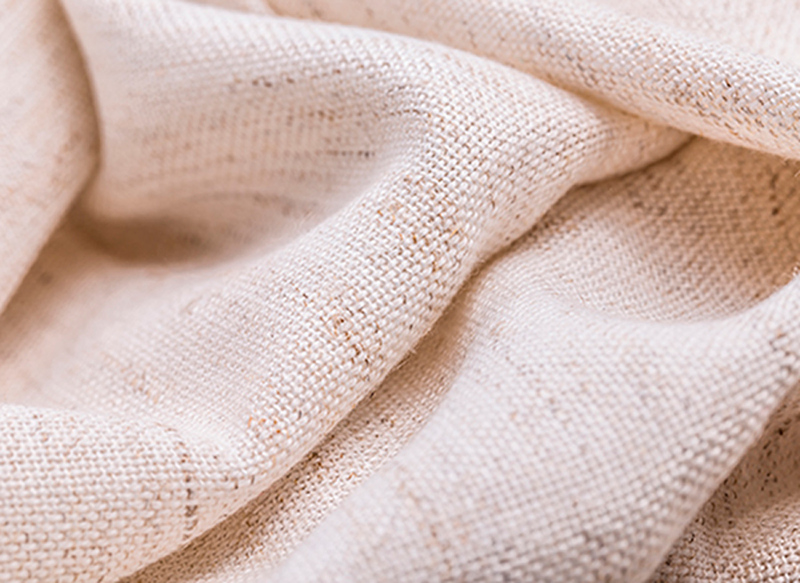 Just like linen, hemp protects your skin by its hypoallergenic and anti-bacterial properties. A natural heat regulator, it is an excellent thermal insulator: it offers warmth and comfort in winter; freshness and lightness in summer. Tencel® is a natural fiber extracted from eucalyptus wood pulp. Its origins and manufacturing process makes it a sustainable and biodegradable material: eucalyptus grows with little water and does not need pesticides or other toxic products. 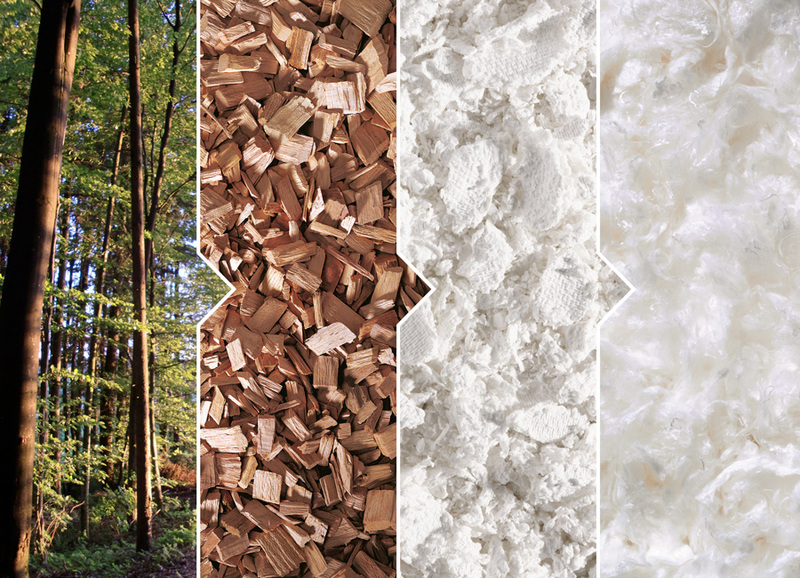 The fiber only comes from forest plantations managed durably where the trees are constantly replaced (it benefits from the PECF European Label). The manufacturing process is carried out using a non-toxic solvent, recycled in a closed circuit with 99.7% recovered. This process does not release any toxic vapour into the atmosphere and uses 10 to 20 times less water than cotton. It was rewarded by the “European Award for the Environment” for its environmental performance. With its extreme softness and suppleness and excellent absorption capacity, Tencel® will ensure absolute comfort for your skin.